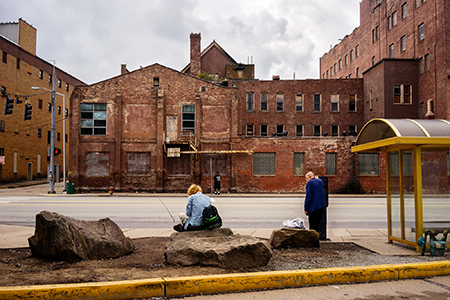 Trenton, N.J.– Mercer County Community College’s (MCCC's) James Kerney Campus Gallery (JKCG) in downtown Trenton announces the opening of “America in a Trance,” an exhibit by photographer Niko J. Kallianiotis, whose images of life in small Pennsylvania towns capture a fading picture of the American dream. The show runs from Thursday, April 12 through Thursday, May 10. On Wednesday, April 18, JKCG invites the community to an Artist’s Talk and Reception with Kallianiotis from 5 to 7:30 p.m. The talk will begin at 5:30 p.m. JKCG is located in MCCC's Trenton Hall, 137 North Broad Street, across the street from the Kerney Building. Hours for this exhibit are Tuesdays, 10 a.m. to 2 p.m.; Wednesdays, 10 a.m. to 1 p.m.; and Thursdays, 10 a.m. to 7 p.m. More information is available on the JKCG website here. JKCG's director and curator is Michael Chovan-Dalton, coordinator of the MCCC Photography and Digital Imaging program. Kallianiotis was born in Greece, but immigrated to Scranton, Pa., 20 years ago. 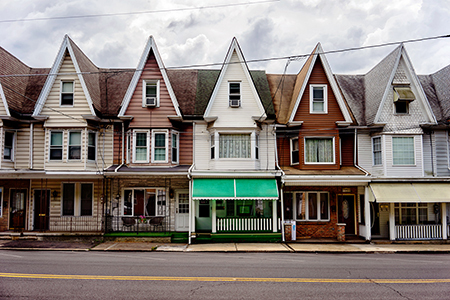 Since then he has crisscrossed the state, taking numerous photographs of Pennsylvania's small towns, including Scranton, Aliquippa, Lehighton, and many places in between. He notes that he came to America with visions of prosperity and vibrancy based on Hollywood movies. But what he discovered was something very different. Kallianiotis was recently featured on PBS Newshour. During the interview, he said, “I include the human element. But it’s more about the place, and passing through it.” Read the full interview by Elizabeth Flock here.